Today I am going to show you how to benchmark your computer, Single-Board or otherwise through three different websites. I have tested my Raspberry Pi 3 B on all of them and you can do it right along with me. I setup my Raspberry Pi 3 B on my DINrPlate and then launched the Chromium Browser for testing. The first website you can go to is http://browserbench.org/JetStream/ and this website will test your setup 3 times and give you the final average score of the three tests. Screen Shots were captures with “scrot” from a terminal window. The next website to test on is https://web.basemark.com/ and this one is a little tricky. This website tests the Raspberry Pi 3 B to its limits. Out of 3 tests only 2 of them completed and one locked my Pi completely up. This one is a good test for sure. The final website is http://chromium.github.io/octane/ and was one of the most reliable out there in the web based areas. I have tested a lot of computers on this website and as I make changes when overclocking this one would show me some of those changes instantly. Cranking up the Octane on the RaspBerry Pi 3 B. Web based tests are hard on the Raspberry Pi 3 B because it only has 1 Gb of Ram. Browsers are Ram killers and make sure to keep all of your tabs closed, not be logged into your Google Account and have a fresh browser opened for each test. Every little bit helps. I am working on other tests now that I want to share with all of you one I have them down as best I can. I want you to be able to do the same things I am doing as you read them so you can compare your results to mine. Then as you learn how to setup your system better by tweaking and or overclocking it you can compare your own results against yourself and continue to improve your experience. While not as big as an aesthetic overhaul as the original B+ was, the Pi 3B+ does have a larger selection of improvements that make it distinct from the original Pi 3. This includes a more powerful CPU, now running at 1.4 GHz on all its four cores. The Ethernet port has also been updated to a Gigabit port, an oft requested feature, although due to pre-existing limitations it maxes out at about 350 megabits. There’s also some minor upgrades, such as a different wireless antenna and the addition of PoE pins for more advanced applications. Easy retro gaming on Raspberry Pi – a more powerful Pi can go a long way here – would make what I just did even better! Image editing on your Raspberry Pi – image editing can get resource intensive, so extra power is always useful. 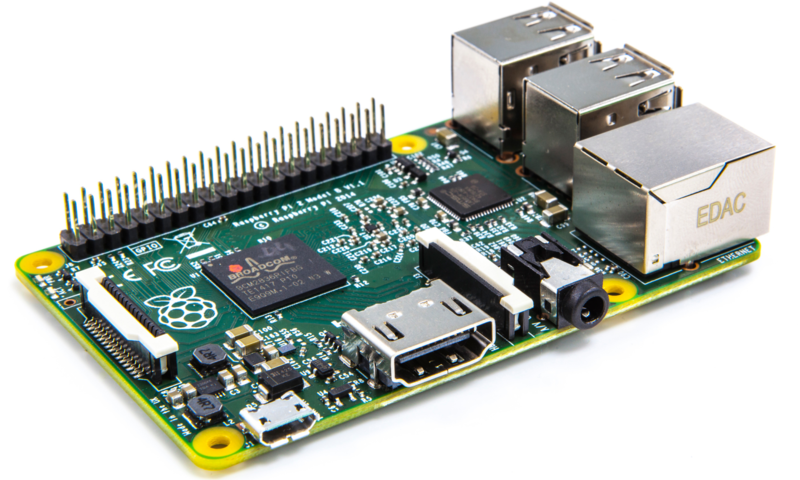 Get a Raspberry Pi 3B+ for the same great price of $35! NICE!